Ring In 2019 at Firenze! You spoke and we listened. Our regular menu is available until 5:45. After that join us for a special menu for your New Year’s Eve dinner. Either way, make Firenze a part of your celebration planning. We have a splendid New Year’s Eve planned with a live band, a special menu, and great friends. A perfect combination to ring in the New Year! Ring in 2019 at Firenze Trattoria! Celebrate the New Year with our delicious 3-course menu. Indulgent options include Surf-n-Turf, Cioppino, and much more! 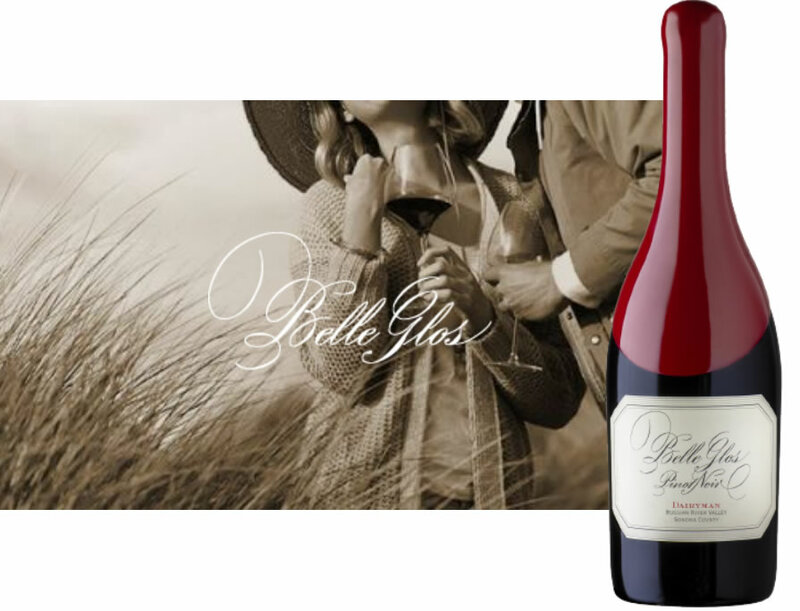 Copper Cane Wines is a collection of brands featuring Belle Glos, Elouan and Quilt by Joe Wagner. Joe is a fifth generation Napa Valley winemaker (his family started Caymus Vineyards) with a dedicated passion. 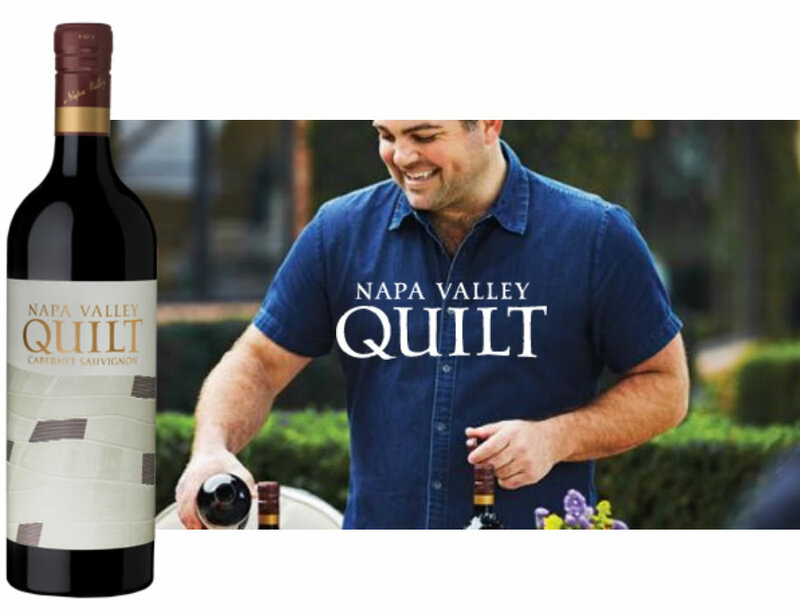 He prides himself on making wines that reflect innovation and genuine craftsmanship. 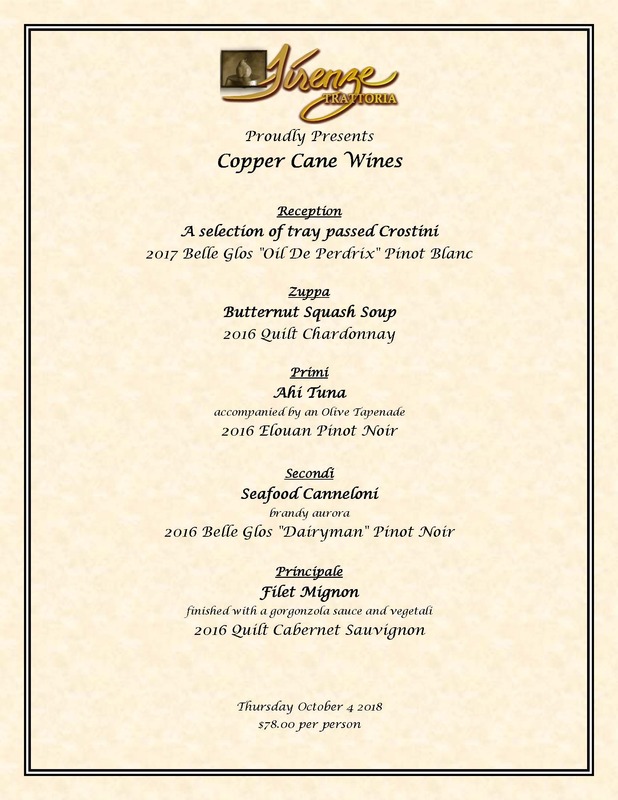 Owned and operated by Joseph Wagner in Napa Valley, Copper Cane Wines & Provisions houses a collection of brands that are crafted to offer a touch of luxury for everyday indulgence. 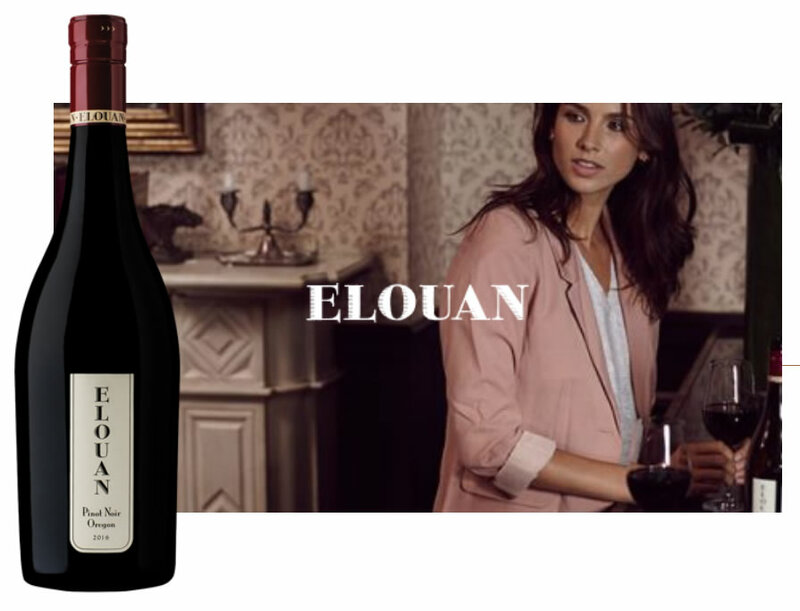 The wine portfolio includes a list of seven unique wine brands: Belle Glos, Elouan, Quilt, Beran, Böen, Carne Humana, and Steorra. Copper Cane is also home to Mia Marcelle luxury swimwear and Avrae, a premium line of cigars. Please visit Restaurants.WineSpectator.com to sell of the Wine Spectator Restaurant Award Winners for 2018. Live jazz performances in Firenze Trattoria. Combine your Firenze favorite with the soothing sounds of jazz. A beautiful dining and music experience is just around the corner. Perfecto! 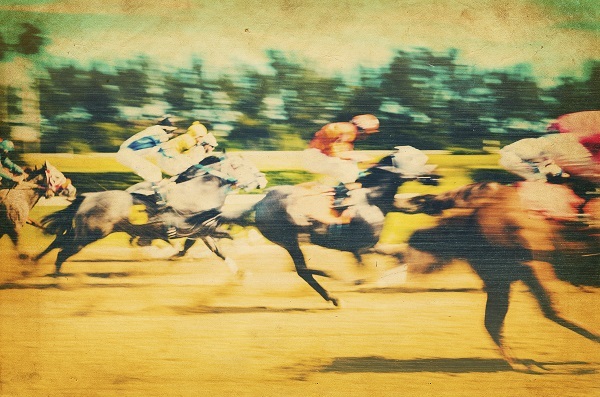 The Del Mar Races are in Full Swing! The exquisite outdoor patio, the inspiring rattle of the martini-shaker at our award-winning bar, and of course our all-star staff always treats you like a champ. $2 off all wine and cocktails by the glass ($1 off all beers). And our special Happy Hour menu includes delectable appetizers including “prosciutto & figs”, “calamari”, and “handmade chicken meatballs”. Call for reservations today at 760.944.9000. Or click here to book online. © 2019 Firenze Trattoria. All rights reserved. Menus and prices subject to change without notice.